For future sustainability, it is necessary to deepen the port’s shipping channel to remain competitive. The port is planning to increase its depth from 42 to 52 feet. 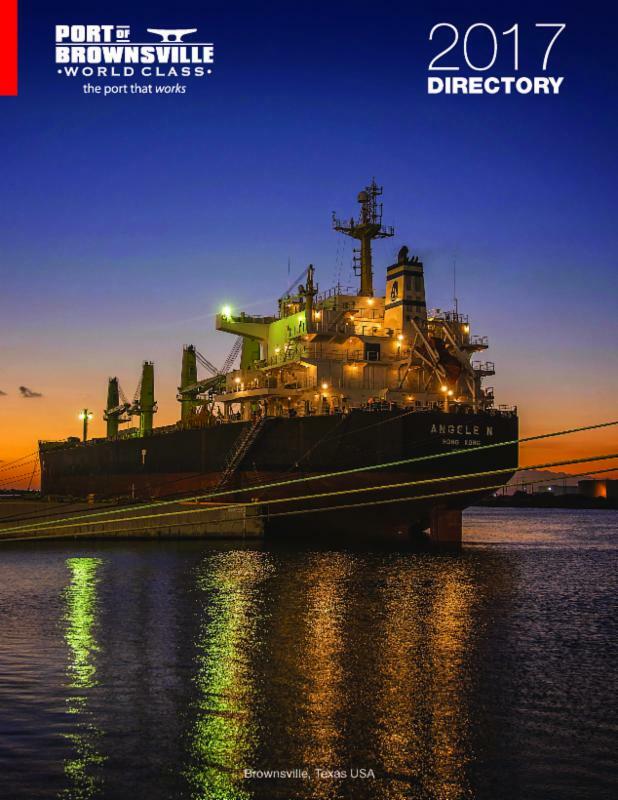 Port of Brownsville, located on the U.S.-Mexican border, is embarking on a $250 million infrastructure project that will deepen the port’s channel to 52 feet. The added depth is needed to keep Brownsville competitive and growing. 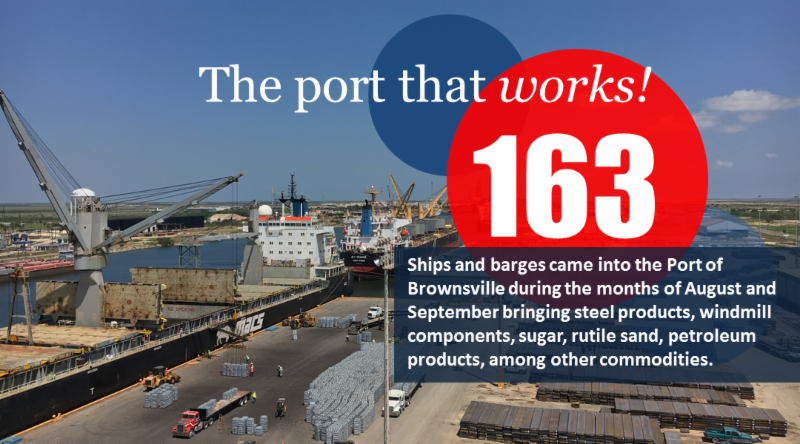 The Port of Brownsville in Brownsville, Texas, perched on the U.S.-Mexican borders, has deep interest in the flourishing trade between the United States and Mexico, and beyond in Central America, with the port having evolved to become a major trade channel between Texas and Mexico. From left to right: Jody Tittle, Mission EDC Board Vice President; Daniel Silva, Mission EDC COO; Richard Hernandez, Mission EDC Board Secretary; Eduardo A. Campirano Port Director and CEO; Alex Meade, Mission EDC CEO; Linda Requenez, Mission EDC Treasurer; Catherine Garcia, Mission EDC Board Member; Ruben Plata, Mission EDC Board Member and Mission City Councilman. 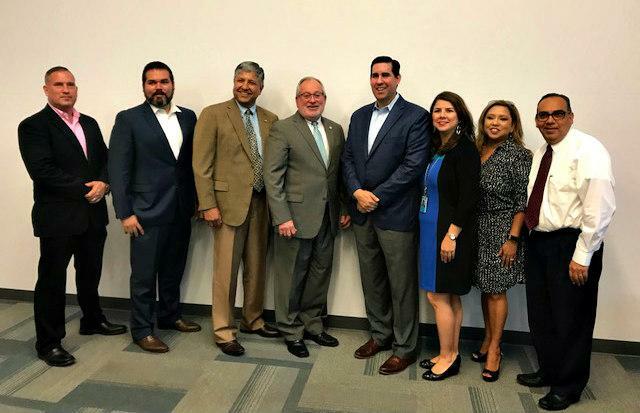 In its ongoing commitment to job creation and regional economic growth, the Brownsville Navigation District Board of Commissioners entered into a Memorandum of Understanding with the Mission Economic Development Corporation to collaborate on international trade opportunities with Mexico and other development projects. Through this alliance, both entities will work to connect and grow business between the Mission Business Park and the Port of Brownsville. A $400 million contract between Honolulu-based Pasha Hawaii and Keppel AmFELS has now been finalized and as a result, two new Liquefied Natural Gas-fueled container ships will be built at the Port of Brownsville. 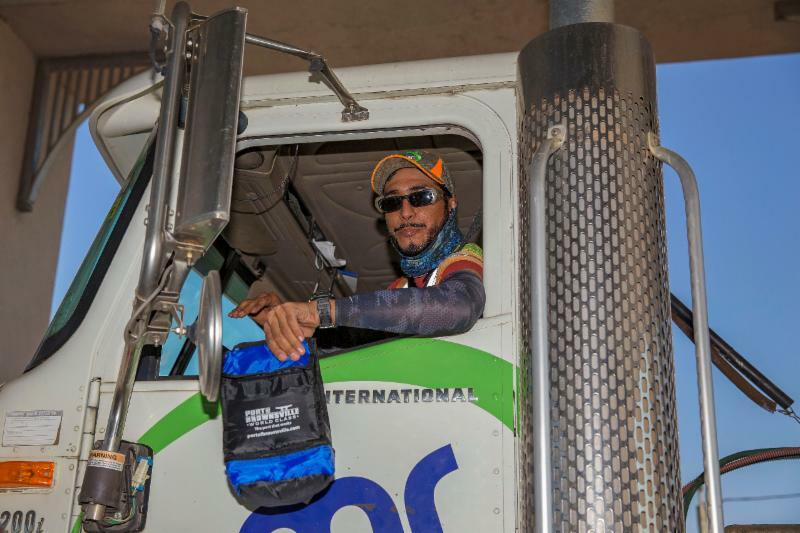 A truck driver from EMR receives a lunch bag with snacks and other items Wednesday, September 13, during National Truck Driver Appreciation Week. 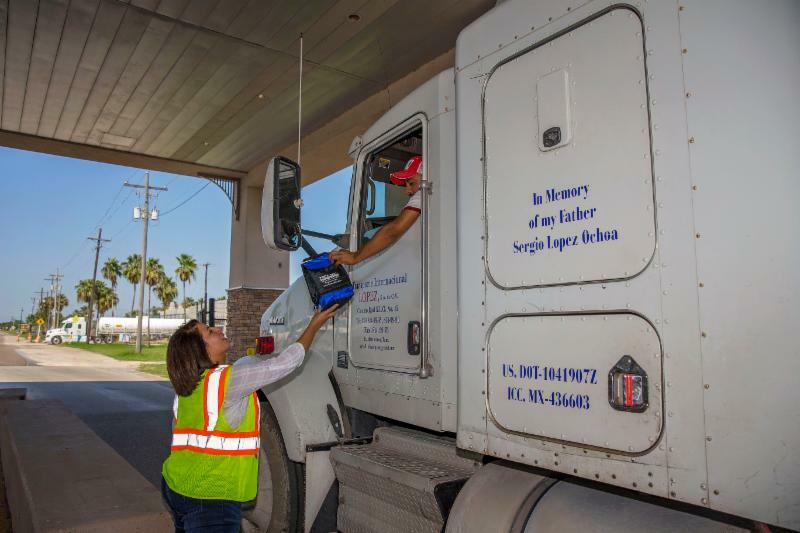 Truck drivers at the Port of Brownsville were recognized for the significant role they play in the country’s economy during National Truck Driver Appreciation Week, September 10-16. 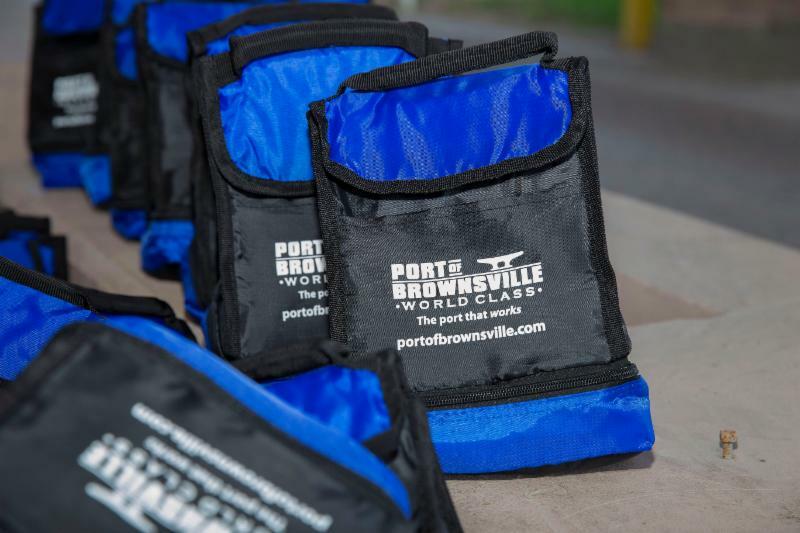 During the week-long event, the port gifted 500 lunch bags to truck drivers entering the port. The lunch bags were filled with snacks and other items courtesy of International Shipbreaking Ltd. and the Cameron County Regional Mobility Authority. According to the American Trucking Association, there are more than 3.5 million professional truck drivers nationwide. 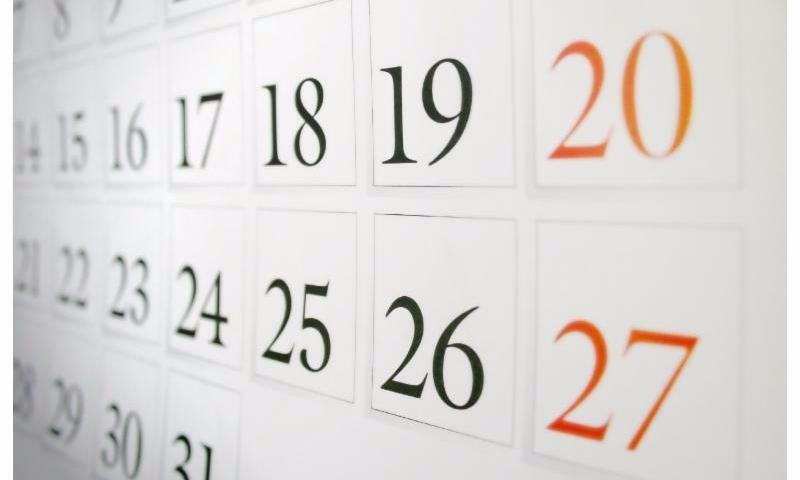 These professional men and women log close to 724 billion miles annually and last year, delivered nearly 70 percent of the U.S. freight tonnage – or 10.55 billion tons. Eighty percent of U.S. communities depend solely on the trucking industry for their goods and commodities. In 2016, the Port of Brownsville recorded more than 81,000 truck movements in and out of the port. Patty Gonzales, Director of Communications, hands out an insulated lunch bag with snacks and other items to a truck driver at the Foust Road gate Wednesday September 13. Port staff wore red bandanas on "Red Out for Rail Safety" day Friday, September 29, in support of rail safety awareness. 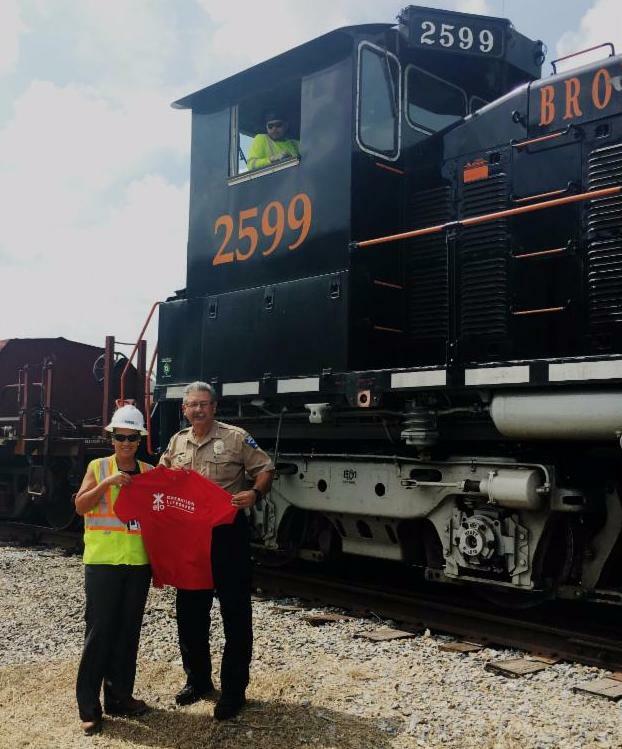 Below: Norma Torres, President and COO of BRG, and port Police Chief Carlos Garcia participated in "Operation Clear Track" Tuesday, September 26. 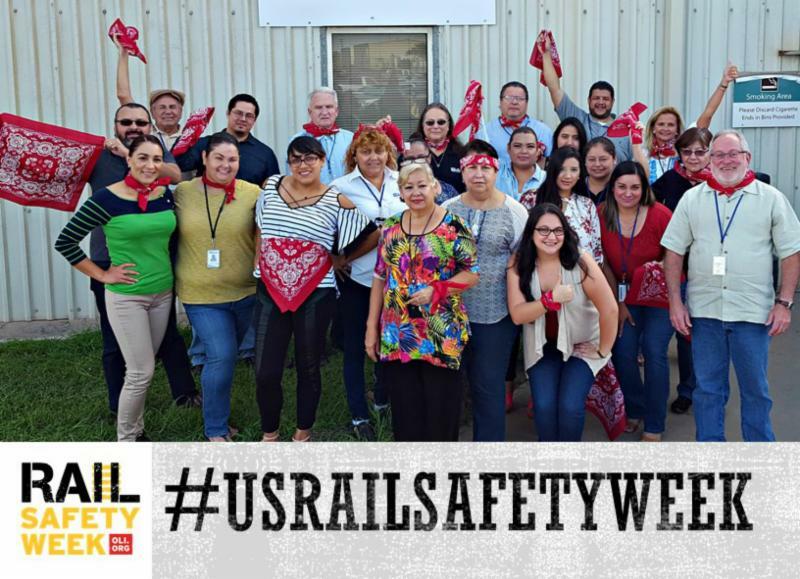 In support of rail safety awareness, the Port of Brownsville and BRG/OmniTRAX observed the first national Rail Safety Week, September 24-30. The event raises awareness across the United States of the need for rail safety education and encourages the general public to keep themselves safe near highway-rail grade crossings and railroad rights-of-way. At least one vessel affected by Hurricane Harvey sought safe harbor at the Port of Brownsville after the storm impacted the Texas Gulf Coast in late August. The Gerry Bordelon, an offshore supply vessel, was docked at Port Aransas when Harvey made landfall August 25, just north of Corpus Christi. The Bordelon lost its moorings and was washed out to sea by the storm, suffering damage. The vessel was forced to seek safe harbor at the Port of Brownsville. The Bordelon arrived at the Brownsville Ship Channel on August 26, and berthed at Dock 4 for repairs. The vessel departed on August 29, after repairs were made. The Port of Brownsville entered Hurricane Condition III – Imminent Storm Preparation, on Tuesday, August 22, as Hurricane Harvey approached the South Texas coast, and advised all port tenants to make necessary preparations for the potentially hazardous weather event. The port also activated its Emergency Operations Center to monitor the storm’s progress and provide updates and alerts to port staff and tenants. The department of Facilities Maintenance also distributed more than 500 sand bags to port tenants and secured the facilities, which includes sheds and equipment. Effective 12 a.m. Friday, August 25, the U.S. Coast Guard Captain of the Port, Commander Tony Hahn, set the ports along the coast under condition ZULU, suspending all vessel traffic at the Brownsville Ship Channel. 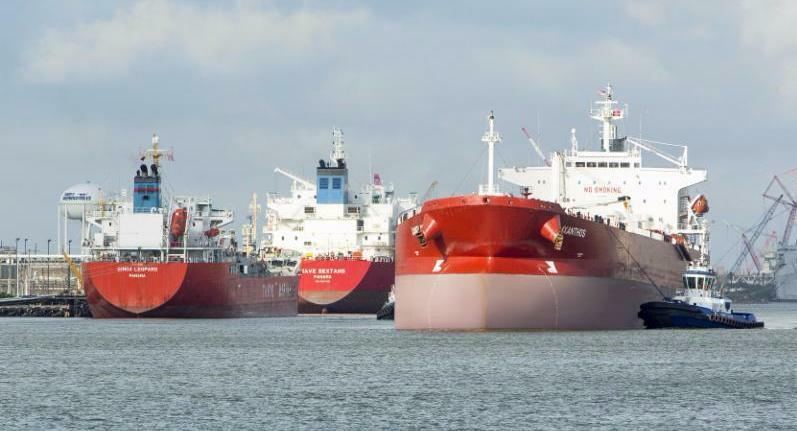 As the severity of the storm shifted north of Brownsville, the Captain of the Port authorized the resumption of normal maritime traffic in the Brownsville Ship Channel at 10 a.m. Saturday, August 26. Routine port operations resumed after the U.S. Coast Guard inspected the ship channel and deemed it safe for normal activities.